CLAUDE EL KHAL: How can the world respond to Daesh atrocities? How can the world respond to Daesh atrocities? How shall we react when confronted with the absolute horror that is Daesh? Is spreading the images of its barbaric crimes helps to show how evil these people are, how important it is to stop them or does it serve their morbid terror propaganda? Some call for a media blackout, others advocate the opposite. People are arguing, fighting even. This shows how little prepared we all were to face such a monstrosity. How little we imagined it could actually exist in real life. Were we naïve or just oblivious of what was truly going on? And today, how can the world respond to Daesh atrocities? After the Jordanian pilot, Moaz al-Kassasbeh, was burned alive, al-Azhar University, Sunni Islam most prestigious center of learning, created a dangerous precedent by calling for the crucifixion of Daesh militants. But isn’t that an official religious approval of crucifixions? Head of al-Azhar, Sheikh Ahmed al-Tayib, said that "this cowardly act requires the punishment mentioned in the Koran for these corrupt oppressors who fight against God and his prophet: killing, crucifixion or chopping of the limbs." But if it’s halal to crucify a Daesh thug, then it’s halal for Daesh to crucify as well, isn’t it? There are two sides to that coin, each side bloodier than the other. Another way to respond to Daesh is what Jordan did. Two for one. Daesh killed a Jordanian pilot, so Jordan executed two terrorists. Many people in Lebanon think it’s the way to go, that the Lebanese government should have executed two fundamentalist militants for every murdered soldier. Lebanese prisons are full of them, why not take our pick and start hanging…? “An eye for an eye will make the world blind”, Gandhi said. But wasn’t the world blind before Daesh grew into the regional power it is today, before its horrific media stunts started spreading all over the web? Can one still take the moral higher ground and argue against the death penalty when it comes to a monster that massacred, crucified, beheaded and burned people alive? Did moral values die with Daesh’s victims or are they now more important than ever? 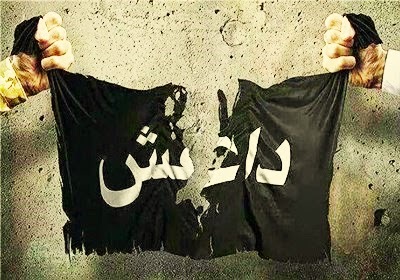 The most efficient way to respond and to ultimately stop Daesh is not only to wage an open war against it in Iraq, Syria and Lebanon, but also to arrest for terrorism, under international mandate, every head of state, every minister, every politician, every religious figure, every businessman, anywhere in the world, that helped or still helps in any way the so-called Islamic State. If we fail to do so, if we react the same way they do, if we use the same means they use, we would have surrendered our humanity, they would have won, they would have turned the world into one big barbaric caliphate, where everyone can be crucified, burned alive or eventually sold into slavery. It will be the end of civilization, and everything that’s good in this world. - What’s Daesh doing in Lebanon? - The "Daesh conspiracy": fact or fiction?